We hope to use this page to glorify the beauty of our KerlyGirl customers, many of whom are natural and are seeking the best care for their hair as well as showcase the growth of our budding community! Take a look at our spring beauty campaign below! Many thanks to Ade Osinubi (co-creative director, photographer), as well as Yacine Niang and Nothando Adu-Gyamfi, for their participation as our hair muses. Take a look at our spring beauty campaign below! Many thanks to Ade Osinubi (co-creative director, photographer), Maame Addae (makeup artist). We also thank Maya Finoh, Ameera Kuforiji, Skenda Jean-Charles, Tolulope Sogade, and Brianna Cox for their participation as our hair muses. 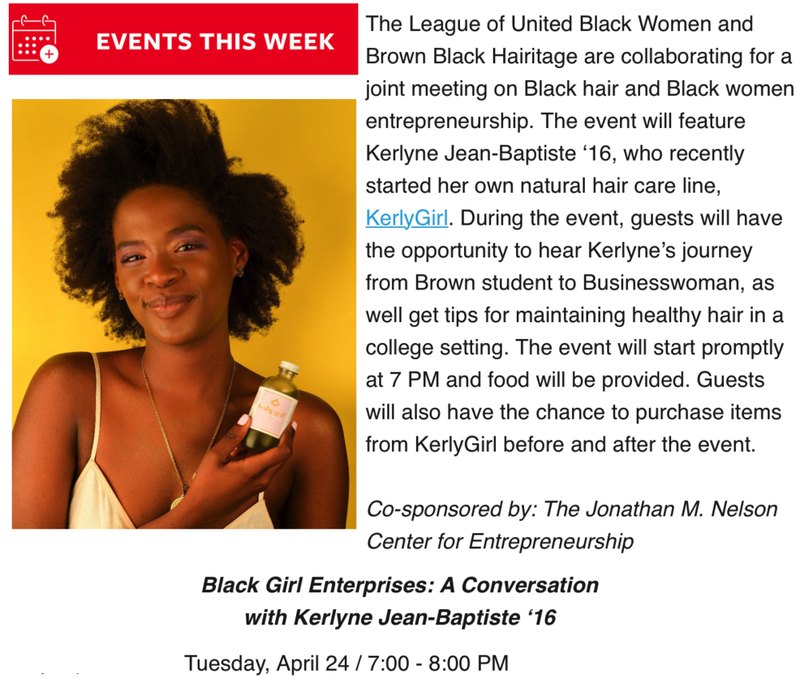 Thank you Brown University Center for Entrepreneurship for the alumni spotlight of KerlyGirl's founder, Kerlyne Jean-Baptiste. Take a look at our inaugural beauty campaign below. Many thanks to Ade Osinubi (co-creative director, photographer), Odemi Pessu (makeup artist), as well as Maya Finoh and Yacine Niang for their participation as our hair muses. 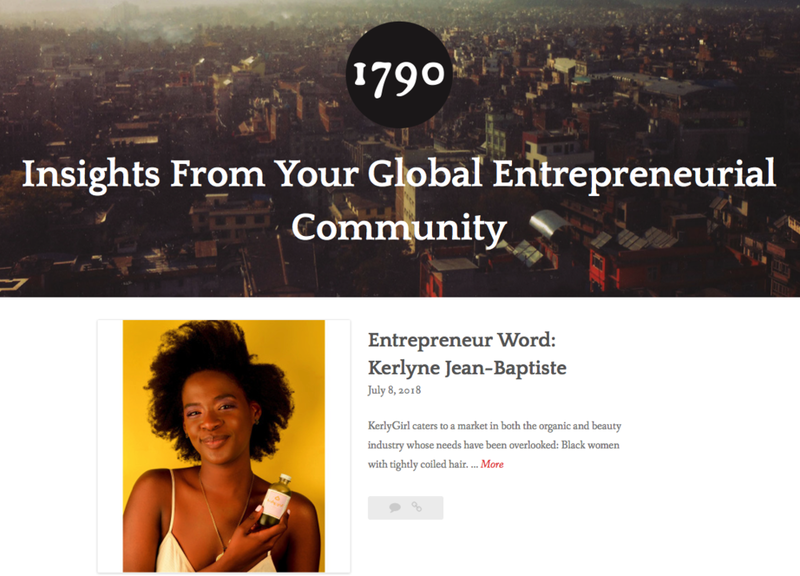 We are proud to announce the online website for KerlyGirl is live tonight! Thank you to all who have supported us in the seed and development stage of our new company! Copyright © 2018 KerlyGirl LLC. All Rights Reserved.